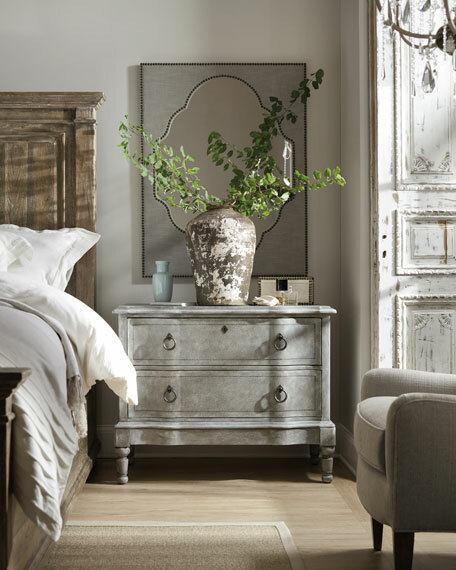 Gorgeous describes this fashion forward option for a bedside chest. 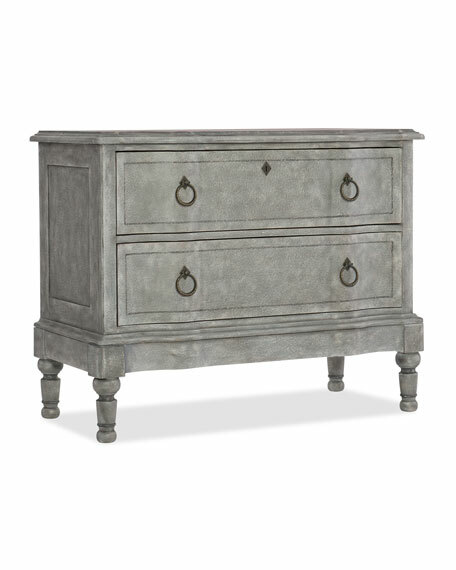 Subtle shaping, custom hardware with a faux lock on the top drawer are all combined with a stately silhouette covered in a textured antique blue gray finish with subtle white undertones. 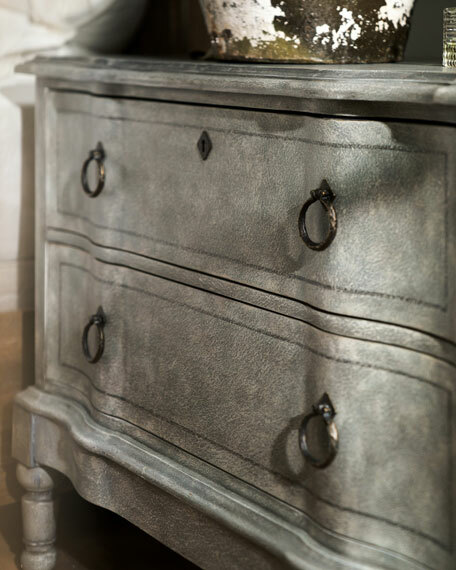 Handcrafted chest with two drawers. Drawer opening: 33.5"W x 12"D x 7"H.
Drop-in felt liner in top drawer. Poplar and hardwood solids with Poplar and Cedar veneers. 40.3"W x 19"D x 32"T.
Boxed weight, approximately 123 lbs. Figuier Hourglass Diffuser, 2.5 oz. Pomegranate Noir Home Candle, 7 oz.